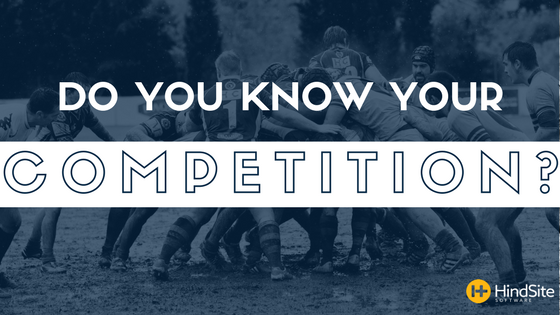 Whether you’re a landscape, lawn maintenance or irrigation business, when you think competition, the first thing that enters your noggin is probably that guy down the street or the business on the other side of town. That’s the traditional way of thinking. But - from customer expectation to an interconnected economy to emerging technologies - the world encompassing your business is constantly changing, evolving, and progressing. Naturally, this affects customers and the way the go about making decisions. It’s key to thoroughly understand this problem while at the same time not overcomplicating it. As advertising legend Luke Sullivan fittingly puts it, “people don’t buy quarter inch drill bits, they buy quarter inch holes.” Similarly, people don’t buy irrigation systems, they buy lush, green, healthy grass. Thinking this way, exposes that, a tangled heap of hoses and a dodgy $7 oscillating sprinkler, is just as much of an obstacle to gaining a new customer as a competing irrigation business. It also means your competition isn’t always tangible. For a lawn care business, it could be the fact that some people enjoy mowing their own yard. When Nelson led marketing at MyFitnessPal, their “competition was anything that makes it harder to live a healthy life” - including biological obstacles like how people's’ brains are wired to want more fatty and sugary foods. This is not to say you should be completely oblivious of other business and the marketplace. But considering other businesses as your only competition leads to mirroring what they do, either directly or indirectly. Spending too much time dwelling on other business will hamper your ability to dive into your customer’s world and their way of thinking. As Nelson states, “Once you redefine your competition as your customers’ obstacles, it’s relatively easy to stop propagandizing the war with another [business].” It also means you stop creating goals based on other businesses and comparing your success to theirs. Here’s how Nelson says your business can shift and reshape how it views competition. 1) Rethink what you sell: Instead of thinking in terms of purely transactional, think about the service you sell, as a transformation or “a journey from a problematic status quo to the new levels and possibilities” your business helps make happen. 2) Rethink your customers: They aren’t just the people who pay for your green industry service(s) or the people living on the same street as other customers. Rather they’re all the people (or properties) in your area “who grapple with the problem your business” solves. • What are the obstacles your customers face? • If, how, and where their journey slows down or meets roadblocks? • How do people overcome these obstacles? • What stops others from ever reaching the solution? Now you not only know your competition (i.e. your customers’ obstacles) you’re beginning to form a plan of attack to squash the competition (i.e. helping customers overcome any and all obstacles).